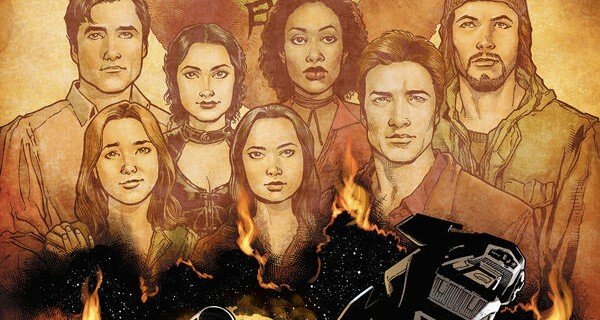 Fans of the famously cancelled series Firefly have reason to rejoice, as it’s back with a vengeance in comic book form. If you’re unfamiliar with Firefly and Serenity then honestly, where have you been? When the series aired on Fox in 2002, sci-fi geeks found a new show to get passionate about, but as so frequently happens the network wasn’t nearly as interested. Its first airing had its time slot changed numerous times with the episodes not even shown in the right order, so it’s unsurprising that on-paper ratings made it look unpopular. Before all thirteen of the season’s episodes were released it was cancelled. After a huge petition including letters, adverts and conventions, Firefly was released on DVD and a few years later the film Serenity was made in an attempt to give the show’s fans a sense of closure. Today, both DVDs are a permanent fixture on the International Space Station, and despite nearly ten years without any chance of a film revival, the fandom is still going strong. There have been other additions to the franchise, most notably in the comic book world where just recently the story has been added to again. Zack Whedon, brother of Joss and Jed, has taken control of the first canon Firefly story in some years, using the tried and tested technique that was used in the continuation of Buffy The Vampire Slayer through comic books, and the book is being illustrated by Georges Jeanty who became well known for working on the aforementioned Buffy comics. Joss Whedon has kindly offered his name as executive producer, although by all accounts he has mostly trusted his brother with running the show. The comic begins eight months after the end of Serenity, and does an excellent job of skipping over what could be quite a lot of action in between. At the end of the film Wash was killed, Mal exposed The Alliance’s evil scheme, and River began to work out who she was, but as we all know a good story exists outside of the physical media, in the hearts of its fans. The intense fanbase of the show is a double-edged sword for the comic, as it comes with not just love but expectations, and a knowledge of the show which means if Whedon or Jeanty get even the slightest thing wrong, there will be some serious backlash. Luckily, Serenity: Leaves On The Wind hasn’t failed to impress. The name is, of course, a tribute to Wash’s dying words in the movie but they end up meaning much more as the crew are now flying without aim, just trying not to get caught. Eight months after their world-shattering announcement, Jayne has left the crew of Serenity, a widowed Zoe is pregnant and Inara is finally in a relationship with Mal after being blacklisted by the Companion’s Guild. River has picked up the co-pilot’s controls and loves the ship as completely as Wash ever did. It feels seamless, like we haven’t left the show at all – nothing about the characters’ actions, words, circumstances and feelings has been altered, and it’s exquisite. By the third issue however, we start to see that constant peril is beginning to have an effect on the crew, especially the once innocent Kaylee. Kaylee may have found her dark side. After illustrating for the Buffy series, I’m impressed that Georges Jeanty went for another comic book based on a TV show, which comes with great expectations for how the characters appear. It isn’t always spot on and at a few moments in the first three issues I wasn’t sure who a character was meant to be, but the giveaways are the facial expressions, which are surprisingly close to the actors’. If you look at Jeanty’s influences – Mobius, Geof Darrow, Walt Simonson – you can see that he is inclined toward a folksy style of art which works beautifully with the rustic space-opera of Firefly. If anything, the ship itself was probably more difficult to render as it is a character in its own right with a very distinctive style. Like any large governmental organisation, The Alliance aren’t about to just give up because they’ve been exposed, and as River comes to believe that there may be more like her the story continues in a believable way. But rather than just extending the chase, Zack Whedon has introduced a new character to the team: Bea, the idealist current leader of “the New Resistance” who views Mal as nothing short of a hero, should provide a much needed dose of youth, optimism and political passion. While we’ll almost certainly see these traits beaten out of her – the ‘Verse is not a kind place – she may be just what the team needs. Did I mention Jubal Early’s back? Beginning in January, three issues of Leaves on the Wind have been released so far and are everything a Firefly fan might want from the series; namely a continuation of the story. While other Firefly comic book series have aimed to provide back stories, Leaves on the Wind looks to the complex future of Serenity’s crew in a world where they aren’t just outlaws, but both revolutionary heroes and wanted terrorists at one time. 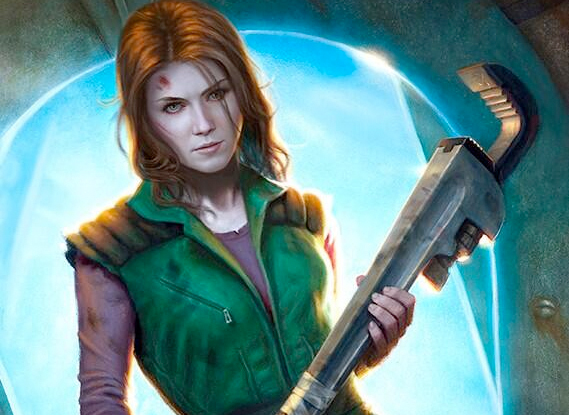 For fans of Firefly, reading this comic series is a necessity. Originally posted on the Travelling Man blog where I and others write reviews!